Bob Egerton has been the Cornwall Councillor for the Probus Division since the first elections to Cornwall Council in June 2009. On 2 May 2013, Bob was re-elected for the renamed Probus, Tregony and Grampound Division. This covers the parishes of Probus, Tregony, Grampound with Creed, and Cuby. See division map. Elections were held on 4 May 2017 for all seats on Cornwall Council. Bob stood again as an Independent candidate in the Probus, Tregony and Grampound division and was very pleased to be re-elected. For details of candidates and results in the Cornwall Council and parish council elections, see elections page. Since June 2017, Bob is on the Cabinet of the Council and he is the portfolio holder for Planning and Economy. Cornwall Council has set the budget for next year and the associated council tax rise of 3.99%. Parish councils are being asked to consider what changes they might wish to see in their local areas in terms of how the parishes are organised, parish boundaries etc. Cabinet has agreed a proposal to increase Tamar Bridge and Torpoint Ferry tolls. If you are being bullied, or you are feeling insecure and mentally not well, or you are struggling with alcohol or drugs issues, or just need someone to talk to in confidence, there is a number of organisations that can help. Not sure when your waste is due for collection? Go to the My Area page of the Cornwall Council website. Here, you can put in your postcode and address. It will tell you information relevant to your address including when your black bag waste and recycling collections are due. Do you need more recycling bags or the box? Go to my waste and recycling request and tell me what you need. They will be delivered to you within a few days. Would you like to purchase a seagull proof sack to protect your black bags from attack by animals? You can purchase a seagull proof sack for £3.50 from most One Stop Shops or, if you would like me to deliver one to you, complete the waste and recycling request. Garden waste: would you like to subscribe to the garden waste collection system or renew the subscription that you already have? Go to the Cornwall Council garden waste order page to order online. If your waste has not been collected when it should have been, you can report it via the Cornwall Council website missed collections page. If the problem is not rectified or it happens more than once, please let me know. Is there anything else that you would like to report? Cornwall Council has a web page where you can report a number of issues that you think the council needs to know about, see Report It! Would you like to see what planning applications there are in your area? All planning applications are published online on the Cornwall Council Planning Portal. Follow the link to search for applications. You can make comments on applications, but will have to register with the system first. Do you want to report what you think is a breach of planning? Available from the Cornwall Council website is a map of Cornwall that contains a wealth of information about the county. 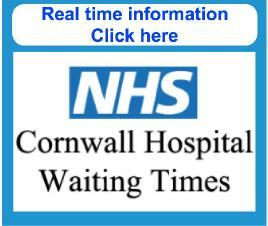 It can be accessed from any web browser at Cornwall Council online map. Are you unsure whether or not you are on the electoral register? Just because you are registered to pay council tax does not necessarily mean that you are on the electoral register. Phone Cornwall Council Electoral Services on 0300 1231 115 to check if you are on the register. You can download a form to apply to be on the register; or you can register online. Feeling the pinch? Difficulty in paying council tax? Unsure about benefits entitlements? Cornwall Council has guidance for those residents who are struggling financially. See Feeling the pinch? There is also a very good guide to the various benefits that may be available at Benefits guidance. Devon and Cornwall Police website with data on crimes in parishes. Any problems with this website? Is there anything that you would find useful that is not on this website? Have you found any mistakes on this site? Are any of the links on the site not working?